Marshes Light Master Association offers the last opportunity for new construction within the historic district in Manteo, NC. 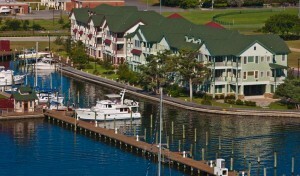 The community currently includes single family homes, condominiums and boat slips. The larger master plan includes additional condominiums, townhomes, commercial retail sites and even an Inn is in the future. Situated on the water, it is within walking distance of the shops and restaurants of beautiful and historic downtown Manteo. A generous marina with dedicated boat slips and easy water access make Marshes Light ideal for those seeking a relaxed and luxurious waterfront lifestyle.